Traveling doesn’t have to stop when the children are born. 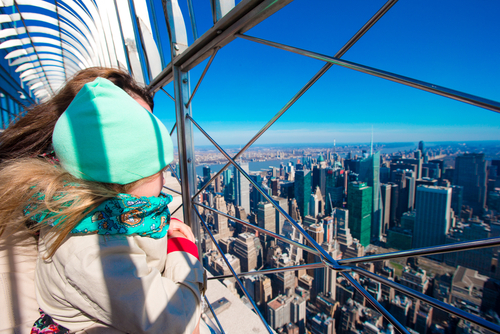 In fact, exploring the world can become a totally new experience with a little one along! To inspire families to channel their inner wanderlust, we’ve come up with the 30 best kid-friendly countries for traveling. 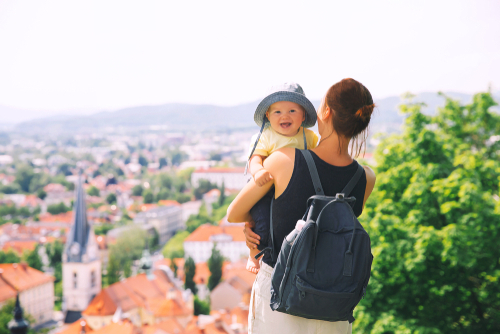 We asked a variety of well-traveled parents for recommendations, then narrowed down the most frequently suggested destinations based on safety, child-friendly activities, and features such as accommodation options, parks, and restaurant variety. Depending on your starting point, Australia may be a good haul. But if you’re brave enough — or at least savvy enough to maybe stop in Hawaii along the way — it’s easily one of the best kid-friendly countries for traveling. Australian culture is very much like ours, meaning both kids and adults will feel right at home. 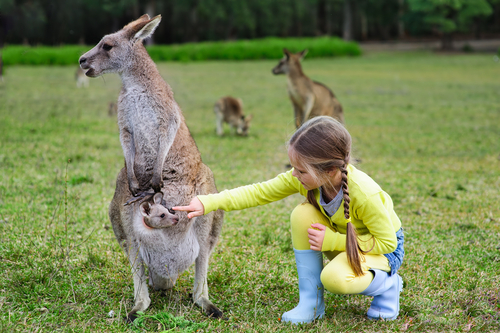 Kids will have a blast in Melbourne, where they can experience hands-on exhibits at the Scienceworks Museum or take a ride through fern gullies on the Puffing Billy Steam Railway. In Sydney, the Taronga Zoo is a must-do, as is quoting Finding Nemo while looking out over Sydney Harbour, and taking a dip in the ocean at Bondi Beach. There aren’t many foreign countries you can get to from the U.S. as easily as you can the Bahamas. This warm and welcoming island nation is ideal for a long weekend away. Everyone speaks English here, so getting around and organized is a breeze. Book an all-inclusive resort such as The Atlantis to enjoy fun children’s activities, stunning beaches, and great food. Located just a short hop from the United States, Canada offers families easy flights, very little time change, a similar culture, and lots of see and do. Kids of all ages are sure to love the wildlife adventures to be had in places like British Columbia (grizzly bear-viewing safari, anyone? ), or the whale watching all along the country’s east coast. Other highlights include exploring charming old town Montreal, hiking in Banff, or visiting the real-life Avonlea and Anne’s famous Green Gables on Prince Edward Island. 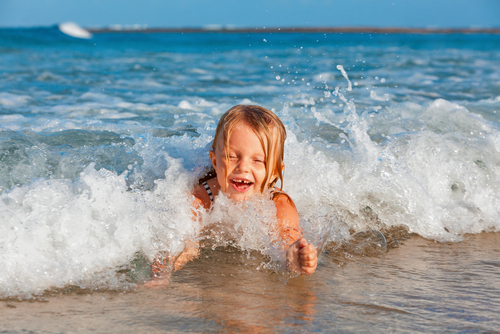 Time stands still in Costa Rica, and for most families traveling with young children, that’s ideal! 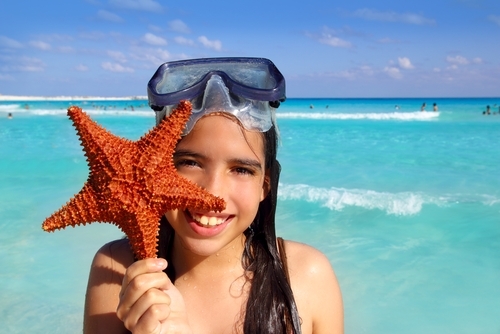 Hang out on the world-class beaches, spot exotic animals in any of the many national parks, and explore all there is to do at the Museo de los Ninos (Children’s Museum). Most importantly, enjoy the hospitality of this extremely welcoming little country! 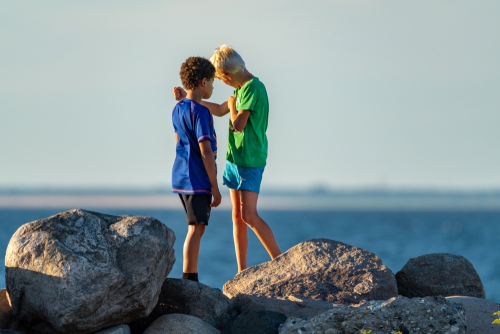 Our list of kid-friendly places to travel is packed with Scandinavian countries because, as one parent we asked put it, “they just seem to have the whole child thing sorted.” Denmark, and its capital city of Copenhagen, seem to be especially family friendly. Copenhagen has a slew of museums, including the Experimentarium and the Children’s Museum, both of which are popular among Denmark’s youngest visitors. The country’s zoo and National Aquarium are located in Copenhagen, as are the famous Little Mermaid statue and a collection of surprisingly warm beaches. Oh, and be sure to spend some time at Tivoli Gardens, the light-filled amusement park said to have inspired Walt Disney. 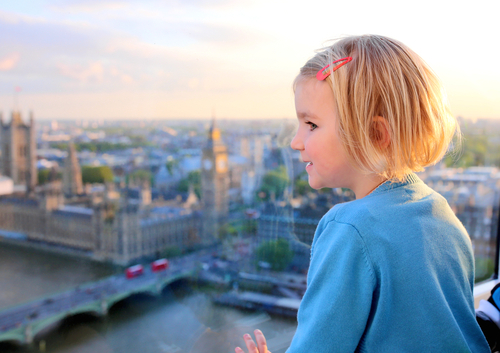 Whether you stay in London or hop on a train to any of the country’s other desirable locales, England is a wonderful option when it comes to traveling with children. This English-speaking country is chock-full of green parks to play in, castles to explore, and world-class museums that cater to any age. Toddler-aged children are sure to love all of the train travel that can be done, while picky eaters will have enough restaurant types to easily find something they deem delicious. 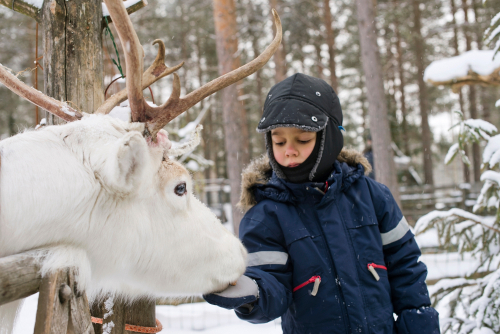 Like Denmark, Finland is another Scandinavian country that’s remarkably child friendly. 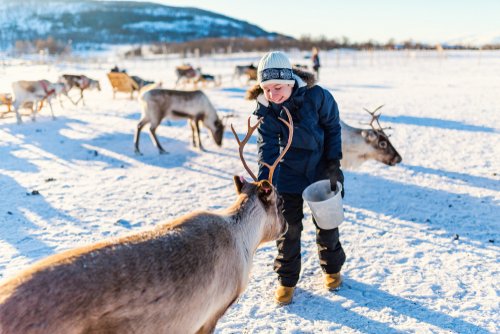 Besides the capital city of Helsinki — which is full of parks and museums for little ones to enjoy — the northern region of Lapland is an absolute must visit. Lapland is home to Santa Claus Village, an incredible amusement park that will have starry eyed children on their best behavior. After all, this is where Santa Claus and his elves live and make toys. Other Lapland highlights include glass igloo accommodations, reindeer sleigh rides, and stunning light shows courtesy of the Northern Lights. 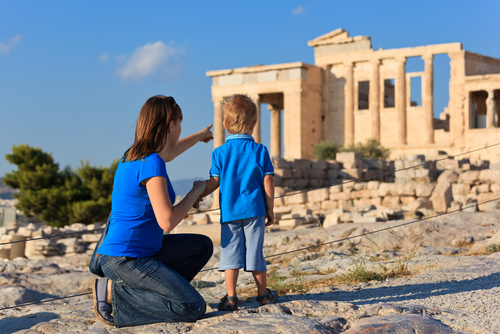 Greece sets the bar high in terms of traveling to Europe with children (perhaps you’ve noticed some popular countries like France, Italy, and Germany missing from our list…). This incredibly friendly country cherishes children and family, as evidenced by the fact that many restaurants are a totally communal experience. Kick back and allow your children to make friends with the locals. Also, don’t be surprised if your various sightseeing experiences turn into life lessons. This is a country in which children are often invited to break bread at the table, catch the fish for lunch, or help steer the tour boat into the harbor. Iceland has been quite the popular travel destination lately, and for good reason! This country caters to tourists, families and children included. 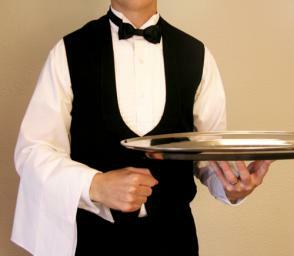 English is spoken just about everywhere, so everything from checking into your hotel to ordering food should be a breeze. Kids will love the bevy of swimming spots available, while parents will love that this is a country that’s easy to drive and explore. Perhaps most appealing is the fact that Iceland is a short flight from much of the United States. If you go during the summer, the days stay light long enough to avoid too much jet lag. According to Instagram, Indonesia is currently the world’s most posted-about country. That’s not too surprising, considering the country boasts five-star hotels for two-star prices, a slew of world-class beaches and secluded islands, lots of wildlife, and a culture that simply adores children (i.e. inexpensive childcare for when the parents need a date night). Ubud, in Bali, seems to be the Indonesian destination most recommended by well-traveled families. Like England, Ireland is an English-speaking country and therefore allows for one less challenge while traveling with children. Of course, Ireland is also beautiful, historical, and easily accessible via train, bus, or rental car. Just be aware that like the U.K., the Irish drive on the opposite side of the road. Check out the capital city of Dublin before taking your time (or rather, your children’s time) exploring the rest of the Emerald Isle. The first of two Middle Eastern destinations to make our list of the most kid-friendly countries is perhaps a surprising one — but it shouldn’t be. Israel is packed with fun things to see and do, and because so many people speak English, is much easier to navigate than many of its neighbors. 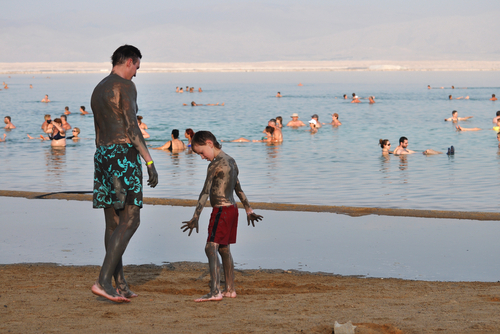 Some child-friendly highlights include Nimrod’s Fortress (think castles, pirates, and princesses); Eilat, a luxurious resort town with tons of water activities; and the beaches of Tel Aviv, to name a few. 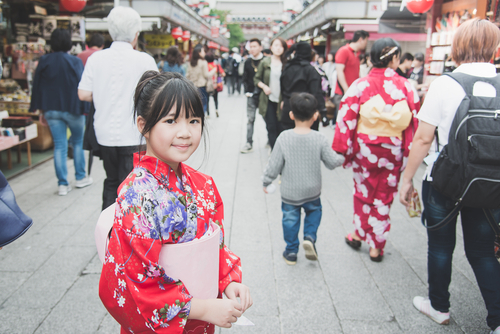 Don’t let the language barrier deter you — Japan is a blast to visit with kids. Take a trip to the kid-friendly Museum of Emerging Science and Innovation. Both parents and children will find it unbelievable, and English-narrated, displays on things seen no where else. 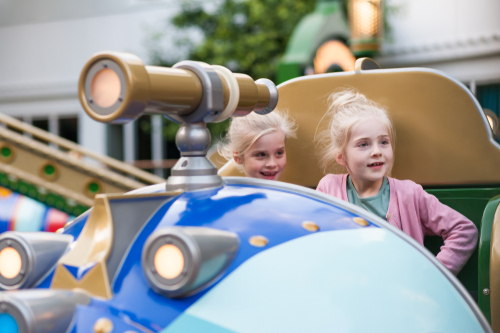 Children will feel right at home at pop culture places like the Legoland Discovery Center and Ghibli Museum, while Disneyland Tokyo is sure to delight the whole family. One of two African destinations on our list, Kenya is a welcoming country with lots of things to do with children of all ages. 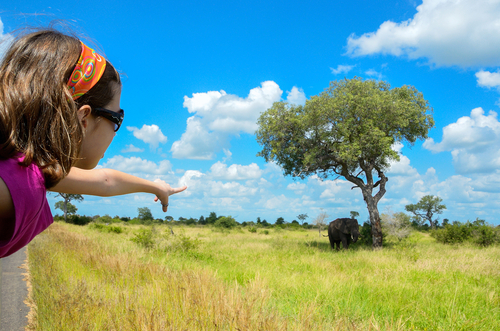 Safari companies can take you all around the country, though keep in mind most will require you to book a private tour if your family includes children under six years old. If you decide to stick close to the capital city of Nairobi, consider booking a stay at the famous Giraffe Manor. Here, kids of all ages can delight in the giraffes which live on the property — and which stick their heads through the massive windows during breakfast time. Nairobi is also the only African city with its own national park, so experiencing Africa’s must-see animals can be done in a simple day trip. Malaysia is a delightful travel destination that is tragically underrated by both families and solo travelers alike. While there’s plenty to see and do on the mainland, we suggest heading straight for Malaysian Borneo. Kids can have a blast tracking orangutans at the Sepilok Orangutan Rehabilitation Center and playing on the beach near Kota Kinabalu. Or you can take a real-life Jungle Cruise down the Kinabatangan River in search of monkeys, crocodiles, pygmy elephants, and other wonderful creatures. Quite a few families we asked mentioned that they love taking their little ones to Mexico. Parents and young children alike appreciate that visiting our southern neighbor requires a shorter flight than, say, Europe. Depending on your starting point, Mexico also doesn’t mean much of a time change. Adventurous families might enjoy time spent in cultural centers like Mexico City or San Miguel de Allende.Those just looking to relax a bit should consider the many all-inclusive resorts in places like Cabo San Lucas, Puerto Vallarta, or Tulum. Because they have short attention spans and even shorter legs, children do well in countries like the Netherlands. This classic European destination is compact and centralized, so families do well to explore at their own pace. The capital city of Amsterdam is full of parks and other green spaces for running around, picnicking, or flying a kite. 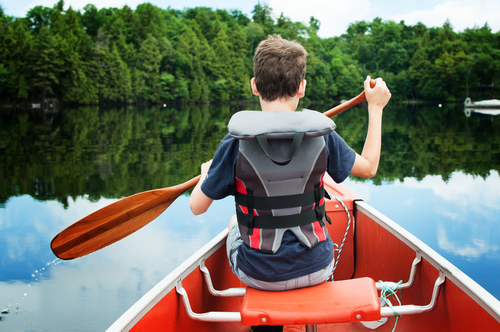 A boat tour along the canals is sure to hold the attention of any little one. 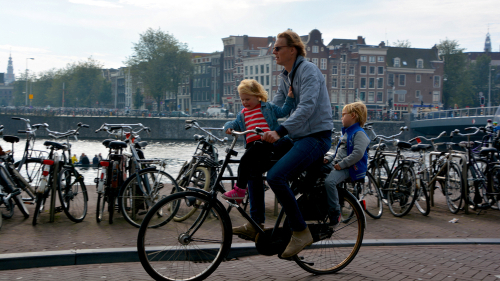 For some faster-paced exploring, rent a bicycle with a a child’s seat and explore via the Dutch’s favorite mode of transportation. Finally, should you desire to explore other local towns — Delft, The Hague, and Rotterdam are especially nice — trains are clean and easy to navigate from Amsterdam. 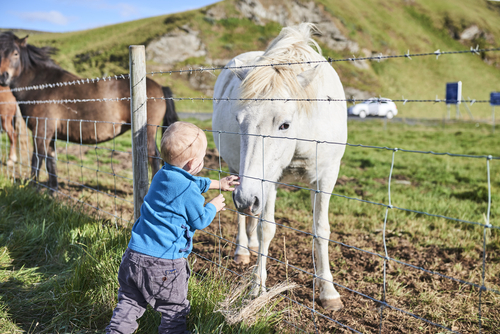 If you can brave the long flight (easiest with kids under a year and older than four), New Zealand is a practically perfect country to visit with children. 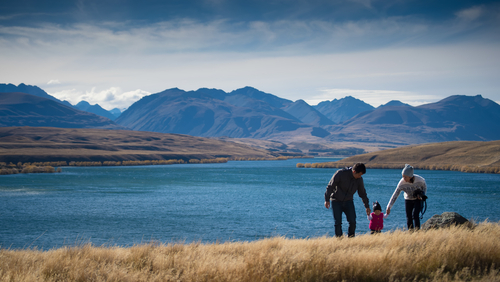 New Zealand was recently ranked the second most peaceful country on the Global Peace Index. Therefore, it’s not too surprising that this country has a reputation for being warm and welcoming. Kids will love the seeing their favorite stories, such as Moana and The Hobbit, come to life through glimpses of Maori culture and the hobbit holes that still exist from the filming of the Lord of the Rings films. 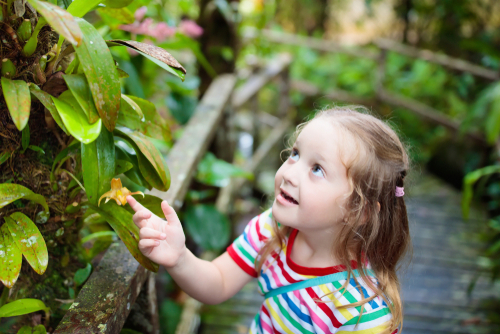 For kids who aren’t quite literary, the beaches, aquariums, and wildlife centers are sure to be enough to captivate them. “Norway is made for children,” declares the official Visit Norway website. Indeed, there are a ton of things for a world-curious child to see and do here. Kids will love the hands-on displays at the Vitenfabrikken museum, while a trip on the Setesdalsbanen Railway Line provides the unique opportunity to ride a century-old train through some of the world’s most stunning natural landscape. The unique Atlanterhavsparken-Ålesund Aquarium provides a glimpse at life in the North Sea. Finally, kids can learn all about Vikings and other ancient Scandinavians at the Stiklestad National Culture Center. 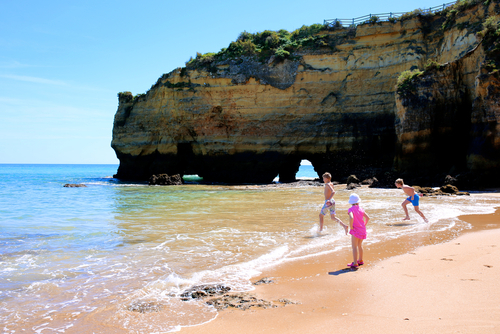 Whether you’re delighting in the many colors of Lisbon, or lounging on the beach in the Algarve, Portugal is made even better with kids. This picturesque, welcoming, and affordable country absolutely loves children. In fact, a Portuguese law states that people with babies and toddlers are to automatically go to the front of any line — not a bad perk! There is something magical about Scotland, and that magical feeling is only enhanced when experiencing it with children. Though Scotland itself is tiny, the possibilities for things to see and do are practically endless. 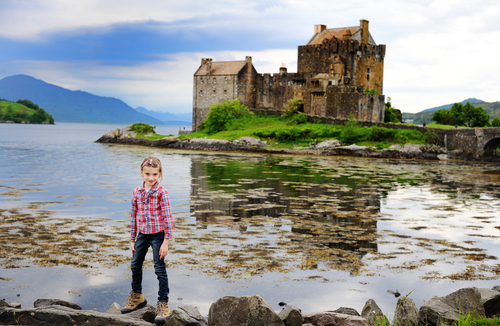 Children are sure to love the mysterious highlands, where they can search for Nessie from a boat on Loch Ness. They may not find the famed creature, but they’ll probably spot some Highland Cows — just as exciting. Further south, on the border with England, lay what’s left of Hadrian’s Wall and Scotland’s Roman ruins. Even the city of Edinburgh seems like a place made just for children, with its cobblestoned streets and exploration-worthy castle atop a hill. Spain is another European country that makes traveling with kids easy. This family friendly and culturally rich country offers plenty to do for children of all ages. Book a resort along the southern or southeastern coast, then spend the day playing in the sand and lounging by the ocean. 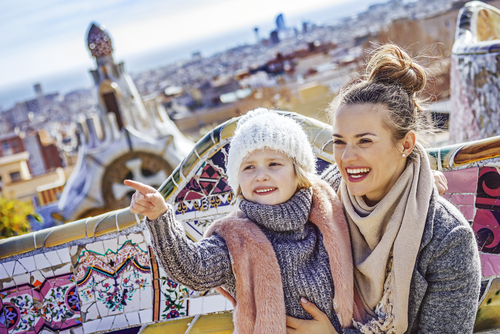 In Barcelona, even young children will be able to appreciate the grandeur that is the Sagrada Familia — especially if they’re allowed to run through the Dr. Seuss-like Park Güell afterwards. the incredibly unique Kamelranch (Camel Ranch) in Öland. If you can, try to time your visit during August, when Gotland hosts its incredible Medieval Week. 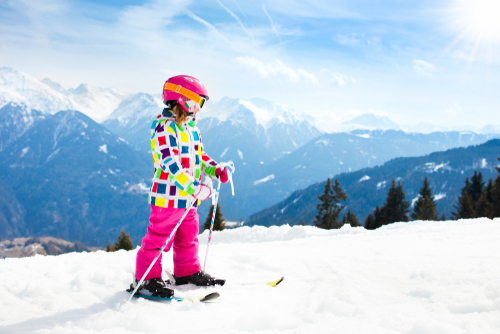 Families who love the outdoors should have no trouble finding things to do in Switzerland. Cities like Zurich and Geneva are very family friendly, with lots of parks, fountains, and green spaces for little ones to enjoy. The many charming mountain towns for which the country is so famous are well connected via Switzerland’s excellent rail systems. And of course, no child (or parent, we think) is likely to complain about the Swiss chocolate. 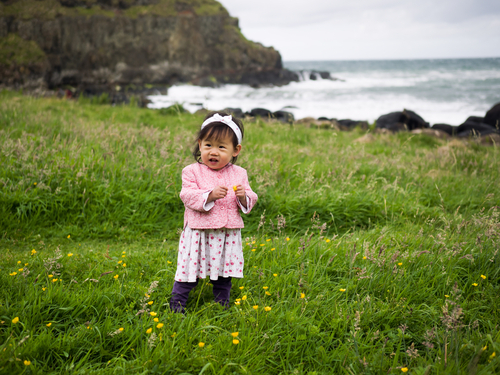 Taiwan is well-known as a country that loves its children, and that love extends to the young children of visitors. 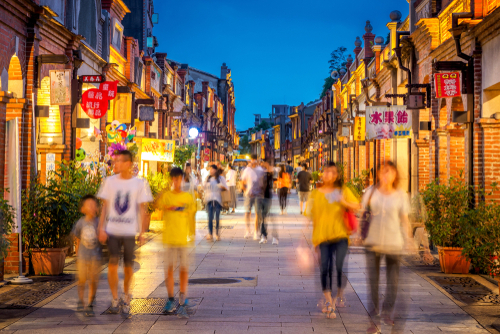 This safe and easily accessible East Asian country is a great jumping-off point for those hoping to expose their children to a culture different from their own. Night markets, with their colorful lights and packed stalls, provide for entertaining evenings with tons to look at. Active families will enjoy Taiwan’s many opportunities for hiking and biking. Kids who’ve picked up on the global trend of Bubble Tea will really love tasting the sweet drink in its country of origin. 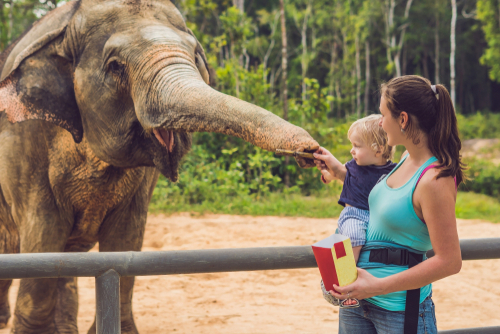 Thailand’s tourism industry was practically made for families with young children! 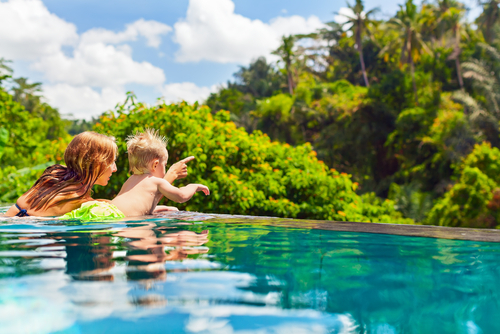 Whether you’re hailing a tuk-tuk, lounging by the pool, or eating dinner out, expect your little ones to be the center of attention. Temples, world-class resorts, beaches, and wildlife excursions will ensure every kid — and adult — has a ball while visiting Thailand. Travelers to Thailand also mention the country’s excellent roads and other infrastructure, which makes trekking from city to city a breeze, even with children in tow. Though it’s still a totally underrated tourism destination, Africa is full of family-friendly countries, one of which is Uganda. Children of all ages are cherished in this tiny central African country, and families may be surprised by just how warmly they’re welcomed everywhere they go. 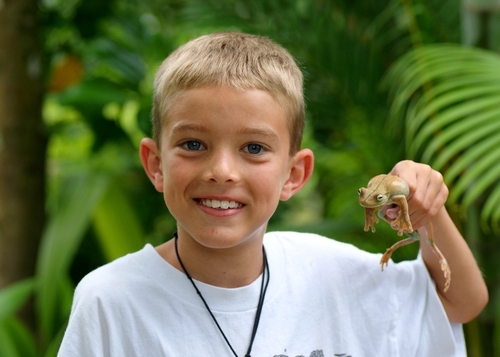 There’s a ton for kids to enjoy here, especially if those kids are animal lovers. Join a family-friendly tour to see leopards in Queen Elizabeth National Park, gorillas in Bwindi Impenetrable National Park, and chimpanzees in Kibale National Park. 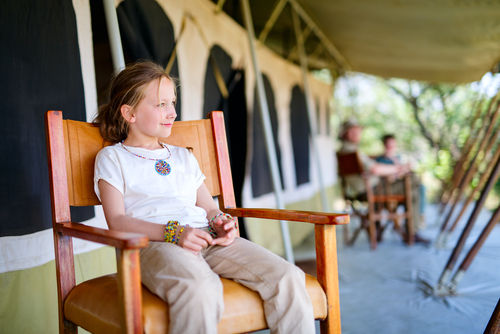 For families who love camping, it may be worth getting out of the city of Kampala and camping near Lake Victoria or Murchison Falls. Dubai, the largest city in the United Arab Emirates, is a fabulous place to be a kid! Dubai is home to theme parks galore, including LegoLand, Aquaventure Waterpark, Wadi Wadi Waterpark, and Global Village, to name a few. 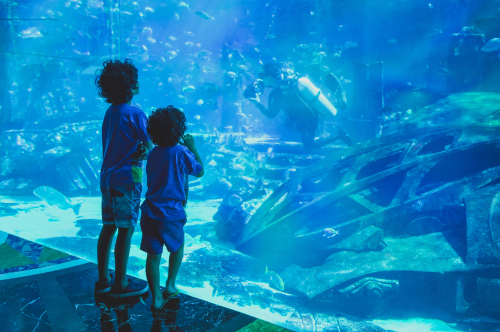 Children are sure to love climbing through the exhibits at the Oli-Oli Children’s Museum, playing in the water at Atlantis and Dolphin Bay, or taking in the views atop the towering Burj Khalifa. Dubai’s tourism industry is first-rate, and families will quickly find that this is a great place to be if you enjoy being catered to. the multicultural metropolis that is New York City.